The Queensland Footy Forensics is a group for anyone interested in the history of Australian Rules football – both in Queensland and nationally – whether it happened last season or a hundred seasons ago. Launched in March 2012, the group grew out of the former Queensland Australian Football Historical Society, which was formed in 2008. Learn more about us and our goals here. 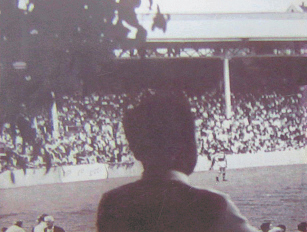 2016 marks the 150th anniversary of the birth of Australian Football in Queensland. We’re producing a publication recording the history of our game and would love you to become involved. Check out our great Q150 website here. Our Products page has recently been updated with several football publications which you may not be aware of. Check them out here. On the evening of 30th March 2012 a group of enthusiastic footy fans attended the launch of the Queensland Australian Football Forensics at the Pineapple Hotel at Kangaroo Point in Brisbane. The new Chief Executive Officer of AFL Queensland, Michael Conlan, kindly gave of his time to be in attendance to meet guests. Forensics’ members Greg Parker and Robert Allen told the guests that the first footy club in Queensland was formed in 1866, and despite the game having a long, rich history in the state, very little of it had been formally recorded. The primary goal of the Forensics - to document the history of the game, be it last season or a hundred seasons ago - was explained. 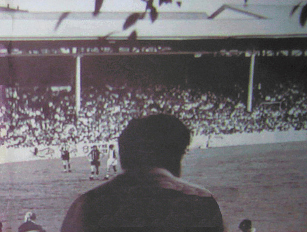 By sharing information, resources and ideas amongst fellow researchers, by promoting both the game and an appreciation of the game’s history, and by providing forums for the gathering of like-minded footy fans - whether lovers of the social side of things or the game’s history itself - guests were enlightened as to how the Forensics intend to reach their goals, and in so doing help others reach theirs. Guest speakers at future functions would add colour and interest. For helping to make the evening a success, thanks were given to Michael Conlan, Katy of the Pineapple Hotel, Spencer Howson of 612 ABC radio, Lisa McKoy and Craig Millar of AFL Queensland, Mark ‘The Ear’ Oberhardt of The Courier-Mail and John Harms of the Almanackers website. Greg de Moore was our special guest speaker at Brisbane’s Pineapple Hotel on the evening of 23rd April 2012. Greg, a Sydney psychiatrist by profession, is the acclaimed author of the biography of the first hero of Australian rules football, Tom Wills. The book was short-listed for numerous awards including the National Biography Award. Greg also co-authored A National Game and spoke at the Sydney Writers’ Festival. Greg spoke extremely well and his passion about the influence Tom Wills had on the sporting landscape in Australia shone through. He’s also clearly passionate about Australian history generally, and is bemused by the apparent lack of pride that we as a nation have about that history. On the evening of 9th July 2012 at the Pineapple Hotel, Footy Forensics member Robert Allen gave a short informative presentation on one of his loves, pre-World War I football cigarette cards. Cigarette cards have a very long history and provide a unique insight into the players of their time, both informatively and pictorially. They are often highly valued, and many fans are avid collectors. Robert’s excellent talk was of an informal nature, and questions and discussion were welcomed. Congratulations to Forensics member Bob Gower who launched his wonderful history of the Mayne Football Club on 24th October 2012 at the Breakfast Creek Hotel. Attended by some 200 guests, the success of the launch was a fitting reward for Bob, who had spent over four years of intensive research, including hundreds of interviews, in compiling the book. Proceeds from the sales of ‘The Tigers: From Glory to Heartbreak’ are going to charity. If you’d like more information, you may contact Bob directly by email here. On the evening of 8th November 2012 at the Pineapple Hotel, we celebrated the Brisbane launch of Mark Pennings’ new book, ‘Origins of Australian Football: Victoria’s Early History’. This first of four volumes is subtitled ‘Amateur Heroes and the Rise of Clubs, 1858 to 1876’. The series of four volumes discusses the origins of Australian football as it evolved in Victoria between 1858 and 1896. This first volume addresses its very beginnings as an amateur sport and the rise of the first clubs. On the evening of 29th October 2014 at Woolloongabba’s Red Brick Hotel, we celebrated the Brisbane launch of Mark Pennings’ second volume in his series ‘Origins of Australian Football: Victoria’s Early History’. Volume 2 is subtitled ‘A Golden Era Begins: Football in ‘Marvellous Melbourne’, 1877 to 1885’. This second volume addresses the formation of the Victorian Football Association and the maturation of the game. The Melbourne launch of the book was held on 18th June 2015 at the Royal Melbourne Hotel. The website aims to keep you up-to-date with all Forensics goings-on including details of any upcoming functions or book launches, as well as some of the current history projects being undertaken by members. If you’d like to get involved with the Forensics or simply like more information, please contact us. The objectives of the Forensics can be found on this page. When the formal charter has been finalised it will be included on the site. A little of the history of the game in Queensland can be found here, and different ways to get involved in the game can be found here. Thank you to AFL Queensland for their great assistance during the Forensics’ formative period.